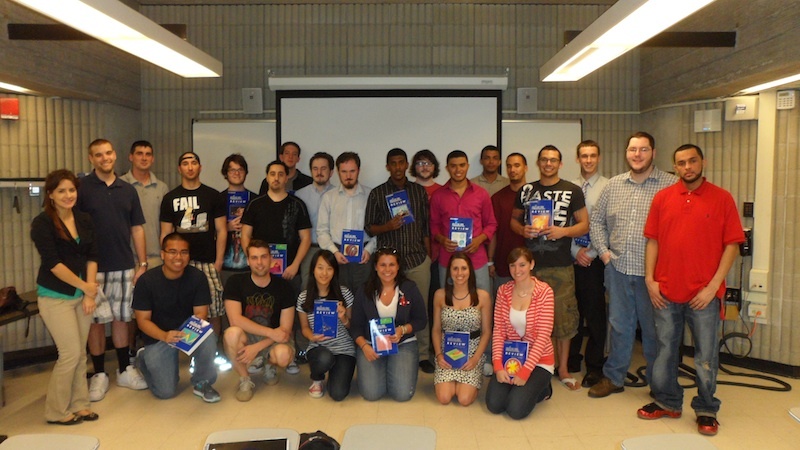 This is an undergraduate level introduction to mathematical modeling class offered by the Department of Mathematics at UMass Dartmouth. Instructor and students will learn and discuss mathematical models arising from Physics, Biology, Chemistry, Engineering, Computer Science, Public Health, Economy, etc. Case studies are chosen mostly based on selected SIAM REVIEW (educational sections and/or classroom notes) papers from the past 20 years. The class will be run similar to project-based seminar. Instructor and students will give short presentations of case studies leading to discussions. Ideas to modify the mathematical models are welcome and finding solutions using problems solving environment (PSE) software (e.g. MATLAB, Mathematica, Maple) is strongly encouraged. It is indeed hard to choose a single textbook for this class since we will use mathematics from different branches. However, students should get their calculus, linear algebra, differential equations, probability, and statistics books come in handy. Moreover, internet is just clicks away and UMassD library is just hundred steps from our classroom. In short, we have enough resources if needed. Selected case studies are interesting and challenging problems. If you find those problems hard, your instructor finds them hard too! However, we will surely be rewarded by learning new techniques and new ways of thinking.